Drawing on research for the first major study of perhaps the key work achieved during the formative years of conceptual art, “Joseph Kosuth’s The Second Investigation in Vancouver: Art on TV” examines one key strand of innovation in the important but little-discussed The Second Investigation (1969–72) introduced by Kosuth’s exhibition at the Douglas Gallery in Vancouver in the fall of 1969, Joseph Kosuth—October 1969. The contents of the exhibition consisted, first, of a gallery exhibition comprising the fifteen functionally descriptive card labels standing in for the same number of galleries and locations in Argentina, Australia, Belgium, Canada, England, Holland, Italy, Switzerland, and the US, where the labels were also shown. The second component of the exhibition was an attempt to “program” the work on Canadian public television. Using entry “VII. Color” from “Class Three: Physics” in the Roget’s Thesaurus “Synopsis of Categories,” Kosuth offered a commentary on the constitution of the colour spectrum in the form of a conceptual art palette rendered through the black and white of typewritten text. But the Vancouver/Douglas piece, like others in The Second Investigation, Welchman argues, carries with it a subtext that relates to its context. In this case covert reference was made not to the physical location (city or gallery and their associated semantic fields) but to the medium in which the piece appeared: TV itself. 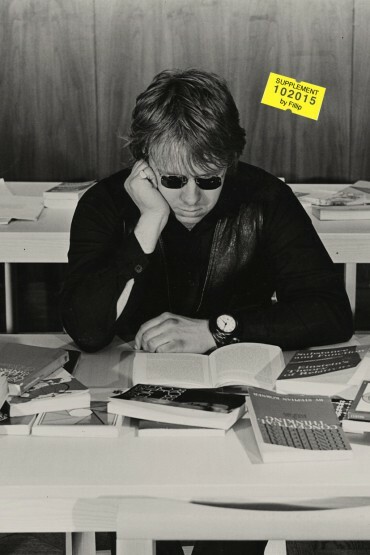 This Supplement explores Kosuth’s unique adjudication of the relation between art and TV—conceived as a physical object or broadcast medium, as entertainment or information, as public service or licensed commercial business—at the end of the 1960s.